Breezy Estate #114 is a lakeside combination of two cabins next to each other in a quiet Mallard Bay location which is an awesome destination for a large group or multi-family vacation to the mountains. Together this wonderful combo of properties features two fully equipped kitchens with basic appliances and dishwashers, as well as bay view dining room areas with table seating for meals. Both homes each have cozy and warm living room areas complete with comfortable furnishings, wood burning fireplaces and there is a washer and dryer available for your use. 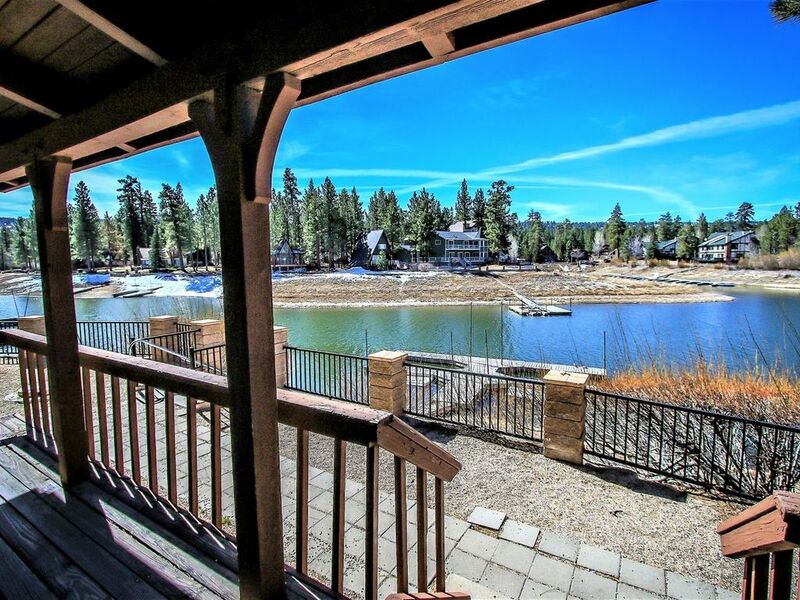 Breezy Estate is a most relaxing property in a nice mountain setting, with outdoor seating areas and Charcoal BBQ's, plus a shared boat dock available, and within a short walk to the downtown shopping area, this estate has all of the essentials that you will need for the perfect Big Bear mountain vacation!